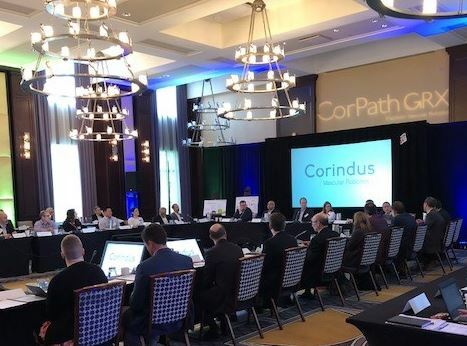 May 17-19, 2018, Corindus held the first annual RoboSummit, bringing Corindus CorPath users from across the globe together in Boston, MA for a multi-day program to discuss their medical robotic programs and learn from their peers. Hosted by Corindus Chief Medical Officer, Dr. J. Aaron Grantham, vascular robotics users were able to share their challenging cases, present tips and tricks for utilizing robotics in complex cases, and hear the perspective of cath lab tech super users on how to train bedside users and build a successful healthcare robotics program. Day one was filled with presentations by skilled interventionalists and technologists sharing their experiences with CorPath GRX. One of the first presentations highlighted newly FDA cleared Rotate on Retract (RoR), the first automated movement in the technIQ™ Series of smart procedural automation. If a branch or vessel is missed when robotically steering a wire, RoR automatically rotates the guidewire upon joystick retraction, redirecting the guidewire tip to help the operator quickly and efficiently navigate to a target lesion. 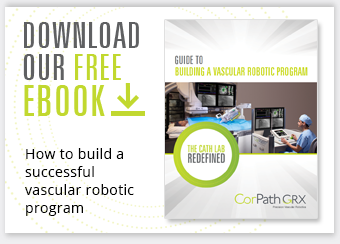 Preclinical studies have shown a 53% reduction in wiring time with RoR versus robotic wiring without RoR1. Multiple vascular robotics users shared their positive experiences with RoR and the potential it has in reducing wiring time. Most notably, attendees described the movement as “deliberate and predictable” to aid in wiring success. We are continuously working to bottle up the techniques of the best physicians to build future robotic movements that drive enhanced procedural consistency and success with robotics. Additional presentations included “A Case I Failed Manually but got Robotically”, “Lab Staff Engagement: Educating and Creating Enthusiasm”, “Robotic PCI in Complex Anatomy” and “Non-Coronary Vascular Robotics.” Overall, the day highlighted the vast applicability of robotics during complex interventions and allowed users to come together and share their robotic practices and success stories. 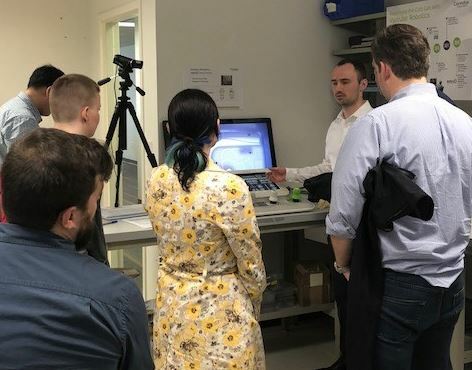 On day two, RoboSummit attendees were invited to visit Corindus Waltham, MA headquarters for a tour of the facility and a meet and greet with members of our R&D team. Attendees were able to get a glimpse into the future of robotics with the opportunity to get hands-on experience with a number of R&D projects and give input into next generation efforts. 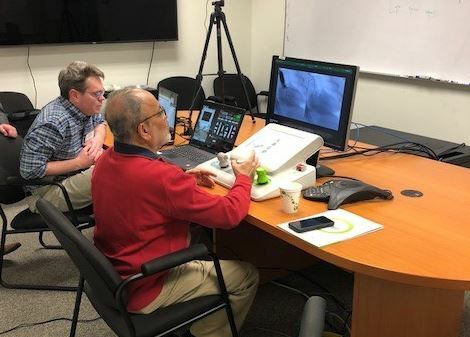 Attendees experienced simulated remote PCI from across the building in our headquarters, the first step in testing the viability of vascular telestenting. To read more about the significant steps we’ve taken toward viable telestenting technology, read the recent article in Medical Design & Outsourcing: Does robotic telesurgery have a future? Attendees thoroughly enjoyed meeting the Corindus R&D team to see what we're working on and to be a part of the future of robotic-assisted vascular procedures. Most importantly, they were able to give valued feedback to help us continue advancing our robotic platform to continually improve patient care. The first RoboSummit was a huge success with impactful peer-to-peer discussions, a deep dive into the future and well received feedback from our customers and partners. We look forward to the continued growth of the vascular robotic community and RoboSummit 2019!